Learn how to make this German staple at ‘Sauerkraut for Your Sweetheart’ from 10 a.m.-2 p.m. Saturday, Feb. 9, at the Sauer-Beckmann Living History Farm in Stonewall. Sauerkraut is good for the heart, so why not make it for your sweetheart this Valentine’s Day? If that sounds like a strange combination, think again, said Hannah Kellogg of Lyndon B. Johnson State Park and Historic Site. "It's the month of love. Sauerkraut is the labor of love,” she said. Kellogg knows about labor. She’s the farm manager at the park’s Sauer-Beckmann Living History Farm, where you can learn how to make this food staple of German settlers in Central Texas. “Sauerkraut for Your Sweetheart” is 10 a.m.-2 p.m. Saturday, Feb. 9, at the farm, which is located in the park at 501 Park Road 152 in Stonewall. The demonstration is free. Kellogg said the idea for the program took root in late fall when it became apparent the farm was going to have a bumper crop of cabbage, the main ingredient of the dish. 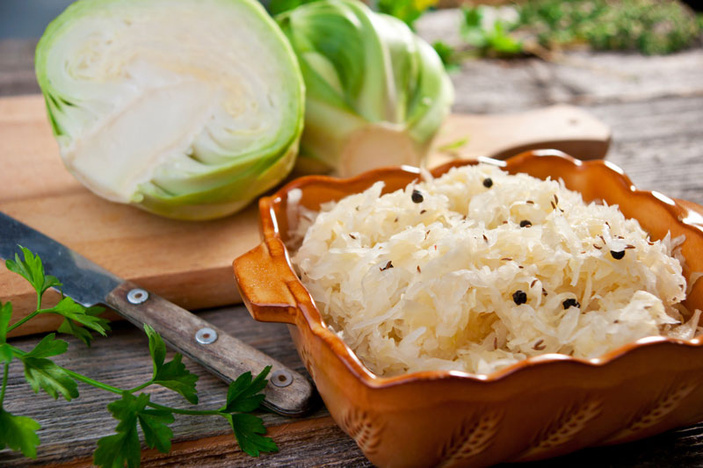 Sauerkraut is a great source of vitamin C, Kellogg said. It improves heart and brain health as well as digestion, boosts the immune system, and is a good weight-loss food. In the warmer climate of Texas, farmers can grow cabbage in the winter, ensuring a continual supply of sauerkraut. Fresh sauerkraut — rather than the store-bought jarred version — still has a bit of a crunch, Kellogg said, which is what she loves most about it. "Having it fresh, the flavor is better, and the crunch is still there," she said. "It's better for you." Go to tpwd.texas.gov/state-parks/lyndon-b-johnson for more information about this and other upcoming programs at LBJ State Park and Historic Site.